Hyperspace Saturn Playing Cards: Light-Years Ahead! 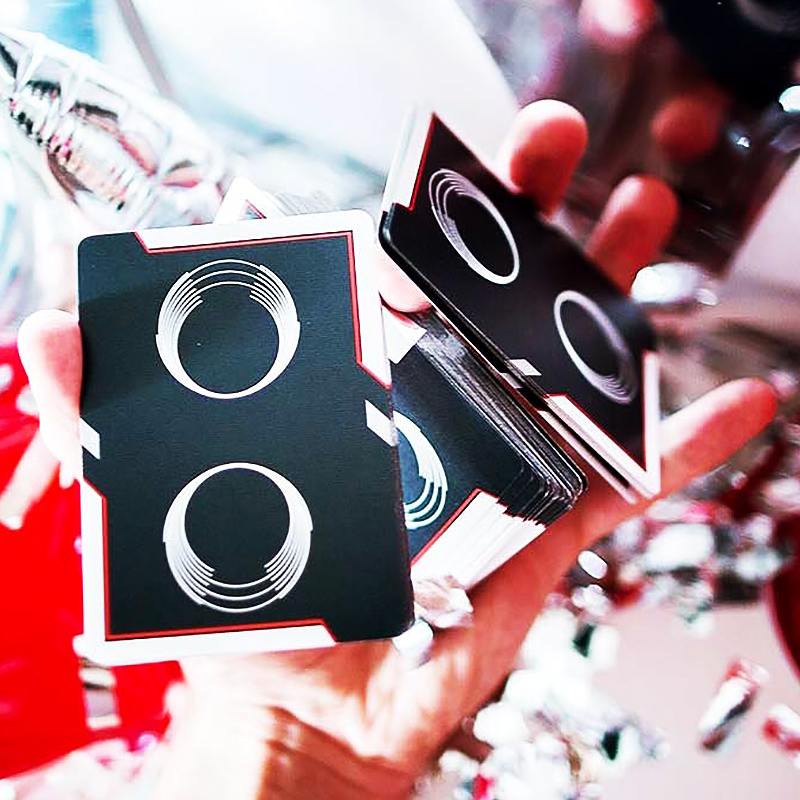 Activated by vintage casino-style playing cards, Saturn’s are a deck from the future. Featuring sleek geometric shapes and an ultramodern design, it rockets regular card handling into hyperspace. Unlike any other playing cards before it, Saturn’s were the first cards in the universe to explore partial borders. With red and white “go faster” stripes surrounding the edge – fans, spins and spreads find new life in your hands. Like the backs of the cards, the tuck is a dark matter grey, etched with bold red lines and flashes of white. All proudly finished with a chrome foil emblem on the front of the box. FUN FACT: Saturn Hyperspace were originally called “space jam”. Some counterfeit decks on the market have been discovered, but all genuine decks have SPACE JAM printed on the side of the tuck and not “Hyperspace”. Owned entirely by Ellusionist, Saturn Hyperspace decks have been in their warehouse ready to launch for over two years. Sometimes designs are so cutting-edge that must be kept "locked" until Earth ready! And with a limited print run, only 10,000 passengers will ever take this ride. • Ellusionist quality. • The cards are poker size.